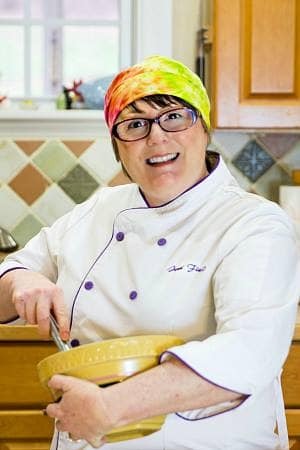 This post is part of my ingredient function series and answers the question, among others, “What does salt do in baking?” This post contains affiliate links. For more information, see my Disclosure page. Salt is very important in baking. Please don’t leave it out. Read on to find out why. A few years ago, I went The Beloved and I went to dinner at a chain restaurant that shall not be named, and I ordered creme brulee for dessert while The Beloved ordered chocolate cake. Both desserts tasted very “flat,” without much flavor or dimension. Why? Because they either did not contain any salt (my creme brulee) or did not contain enough salt. 1 What Does Salt Do In Baking? 5 How Much Salt Should I Add To My Dessert Recipes? 6 What Is Your Rule of Thumb for Adding Salt in Baking? 7 What Kind of Salt Should I Use In My Desserts? 8 What Are Some of Your Favorite Salts To Use In Baking? What Does Salt Do In Baking? Unlike flour, eggs, fat, and sugar, salt doesn’t have much of an impact on the structure of cakes or cookies. Bake a cake with eggs and one without, and you will realize that you have made an error. Bake a cake with salt and one without, they will look identical. So what gives? Is salt necessary in your dessert recipes? In short, the answer is an emphatic yes. Let’s look at what salt does in your baked goods. Salt makes things taste more like themselves. When used with restraint and precision, salt does not make food taste salty, it just brings out the best characteristics of the food. It turns bland, two dimensional tastes into In Living Color three dimensional tastes. Salt counteracts bitterness, so any bitter foods (think coffee, unsweetened chocolate, grapefruit) are made more palatable and delicious by adding just a bit of salt. And yes, it sounds weird to put salt in coffee, but if you don’t like coffee because it is better, try adding just a tiny bit to your morning cup and see what happens. Our bodies need a certain amount of salt to function properly, so it is built in to our physiology to enjoy the taste of salt. That does not mean we need to be eating tons of the stuff a day, but it does mean using a judicious amount of salt in any cooking or baking will make us more primed to eat and enjoy that food. How Much Salt Should I Add To My Dessert Recipes? First, I think there are three different uses for salt in desserts. The first is the most important, I think: salt makes food taste better, so all food needs to be salted at least a little to enhance flavor. Second, salt has gained in popularity as a garnish. For instance, a few grains of flaky salt on top of a piece of chocolate or sprinkled on top of a cookie before baking add a nice pop of saltiness that is a nice contrast, both in flavor and texture, to whatever it is garnishing. Third, some dessert foods are intentionally “over-salted” so the balance of sweet and salty is a bit off and the saltiness figures prominently in the flavor of the dish. Salted caramel sauce, I am looking right at you. Now, having listed the three different uses of salt in desserts, I am going to go on record as saying the amount of salt you choose to use in any of these three Scenarios is a matter of taste. Especially as a garnish or in something obviously salted like the aforementioned caramel sauce. What Is Your Rule of Thumb for Adding Salt in Baking? If the dessert you are making contains both flour and sugar, use one or the other measurement, taste, and then add from there if necessary. For example, my basic (and excellently delicous) pound cake recipe calls for 13 oz cake flour, or about 3 cups. It also contains 3 cups of flour, or roughly 21 oz. The first time I made it, I added 3/4 teaspoon salt to the batter, tasted, and decided it needed a bit more. 3/4 teaspoon was a good starting point. I describe the final amount of salt for the cake as 1 very gently rounded teaspoon which probably equals just under 1 1/4 teaspoons of salt. What I’m trying to say is just because there are 3 cups each of flour and sugar didn’t automatically equal the addition of 1 1/2 teaspoons (1/4 teaspoon x 6) of salt. As an aside, please, for precision’s sake, buy and use a kitchen scale. They are not expensive, they are accurate, they will save you getting all your measuring cups and spoons dirty, and they just make life easier. Below is a link to the kind of scale I use. What Kind of Salt Should I Use In My Desserts? 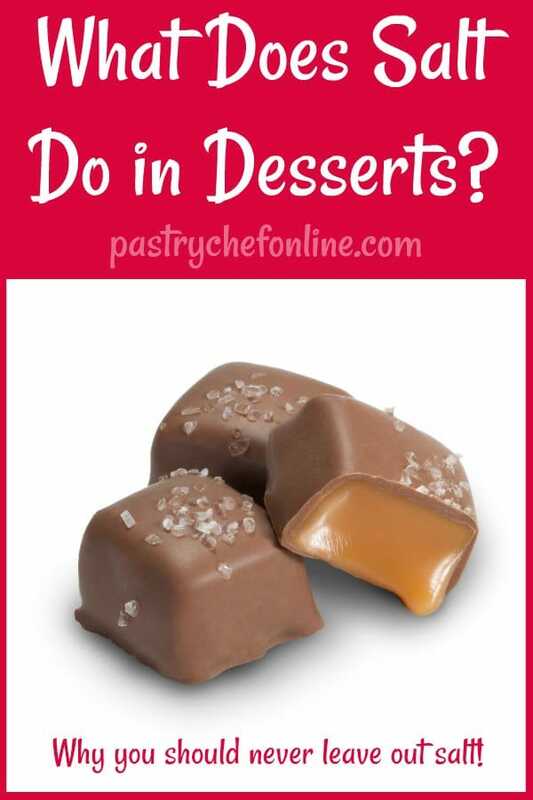 The answer to this one really depends on which of the three Salt In Desserts Scenarios you’re going with. For garnish, you will want to use a “pretty” salt. One with large, flaky crystals or a salt that has an interesting color. For adding saltiness to a caramel sauce, if you’re calling it sea salt caramel sauce, you know what to add. Otherwise, you can use kosher salt or a fine salt to taste. As far as adding salt as a flavor enhancer, I generally stick with a fine sea salt rather than table salt. A fine salt will dissolve well in your batter and it won’t add any slight bitter iodine edge. After all, we’re trying to counteract bitterness, so why add additional bitter flavors along with your table salt? In the restaurant, I used Diamond brand kosher salt in all our baking. 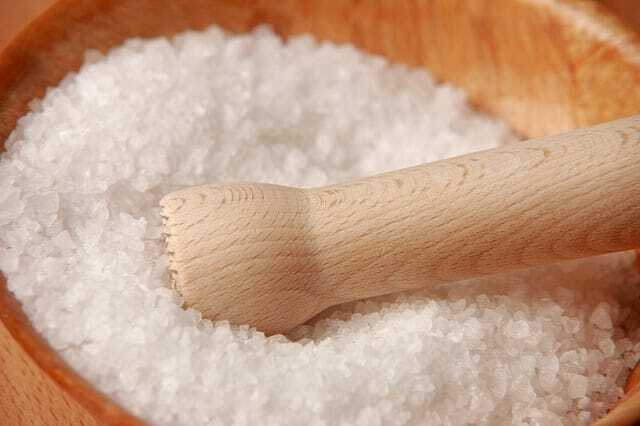 Kosher salt is lighter than fine salt, so you will need to add a bit more than is called for. However, because nobody wants to mess up their dessert by making it too salty, I vote to stick with fine sea salt for all your baking and pastry needs unless you’re using it as a garnish. Kenji Lopez-Alt of SeriousEats wrote an excellent article on the difference between using Diamond brand and Morton’s for kosher salt and more on salt. Note you cannot substitute Morton for Diamond (or vice versa) 1:1 because the crystal size is different, so please read his article on the differences between Morton and Diamond kosher salts. ALSO PLEASE NOTE: Just because you are garnishing your chocolates or cookies or brownies with a few flakes of finishing salt does not mean that you can cut back on the amount of salt in the recipe. Just so we’re clear. What Are Some of Your Favorite Salts To Use In Baking? I probably own something ridiculous like 14 kinds of salts. But here are my picks for salt you will turn to again and again, for adding to dessert or for garnishing. I hope this post has answered some of your questions about using salt in your desserts including the biggie “what does salt actually do in desserts?,” and I really hope that if you haven’t been using any salt up until now, that you will change your tune. Your taste buds will thank you. You wouldn’t necessarily think that salt would be a fascinating subject, but wars have been fought over access to salt. The word “salary” has its root in the word salt–it was precious stuff! Here are some great references for you to consider. If you are interested in the ingredient function of other pastry ingredients, please visit my Ingredient Function page. Question, Teacher: is there any kind of dessert that you shouldn’t put salt? It seems to run the gamut but I’d hate to be the unfortunate soul who discovers the exception to the rule when I serve dessert to Mr. Noodle’s boss (or other important personages)! @informalblathering It’s true: once you’ve tasted a well-seasoned dessert, it’s very obvious when salt is missing. Everything just starts to taste bland, bland, bland. Blah! Yes, water can be a culprit my I also have a heart condition that agitates it and has since I was young, I just deal with it by no salt, and lots of water. I only consume beer or whisky on special occasions, no sodas for me! I would love some of your goodies though! By the Bones! I whole-stomached’ly approve. The Khazars would as well: Ateh dipped her food in “seven different kinds of salt” ere eating. Perhaps a bit of salt in the sugar-glaze?